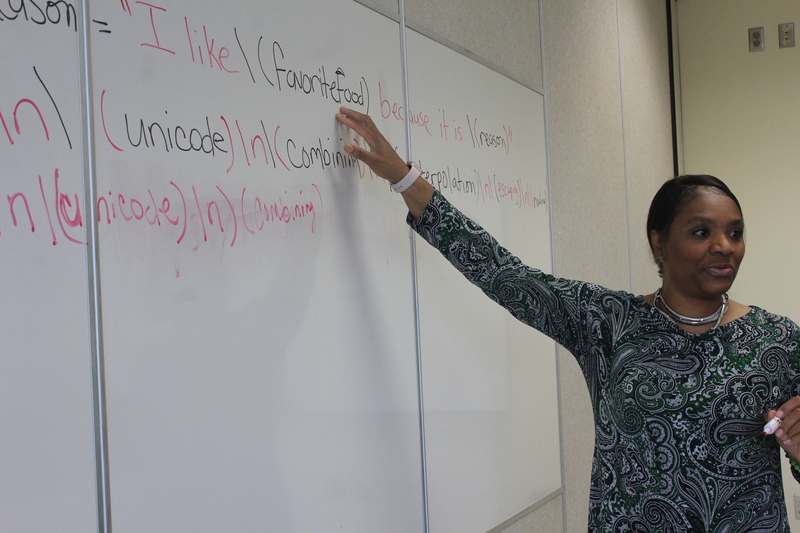 Dr. Kesha Mallory James explains the meaning of a code to her colleagues Alice Tyler Milton and Eula Todd. Eula Todd works on a new code on the computer at Lawson State Community College. 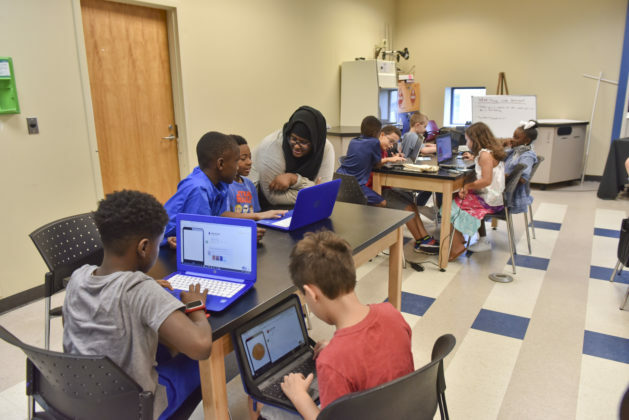 On a recent Sunday afternoon, a group of students from across the metro area sat shoulder to shoulder in a classroom at the McWane Science Center in downtown Birmingham for a meeting of the Kids Code Club. 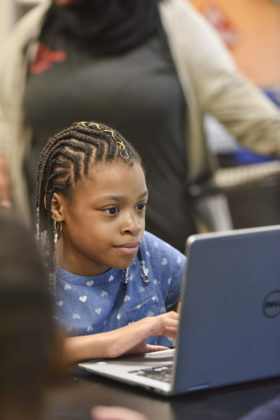 Perched in front of laptops in pairs, the young people peered intently at screens, clicked keyboards, and practiced coding—using computer programming language to create a website, software, or an app. 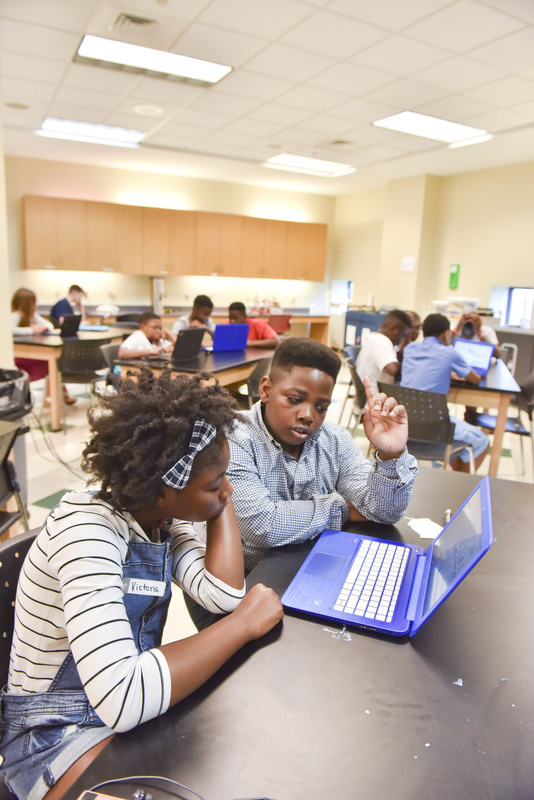 During this monthly gathering, students work together and sometimes alone to complete various tasks while chatting, all the while focused on problem solving to make the computer do exactly what they tell it to. 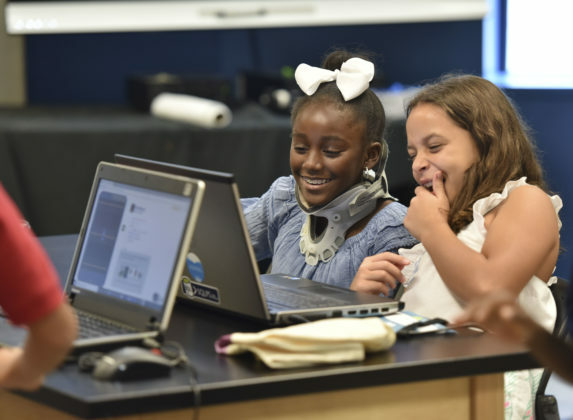 Coding clubs and classes like the one at McWane are popping up across Birmingham with more frequency as educators and business leaders recognize the benefits of exposing students to computer science at an early age. That exposure, they hope, will lead more students into computing careers. 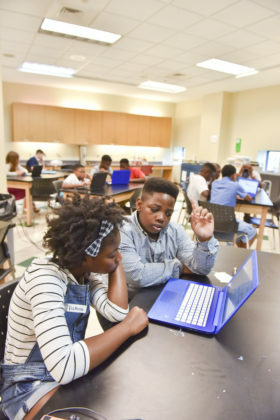 Open computing jobs in Alabama far outnumber the number of qualified workers, according to a recent survey by the nonprofit group code.org, which aims to expand computer science instruction in public schools; the study estimates that the state has as many as 5,000 openings in computing. That’s why TechBirmingham is sponsoring programs for students. It’s also why the city of Birmingham, Birmingham City Schools (BCS), and Lawson State Community College (LSCC) have collaborated on several projects, including computer science and coding boot camps. “It was an incredible showing [of support],” Gordon said of the partnership. The boot camps held at LSCC were a start to exposing more kids to coding and computer science: “We want to make sure our kids are surrounded by opportunities. If 20 of those kids decide to continue with coding then that is a major victory,” said Gordon. Coding is not just for techies. 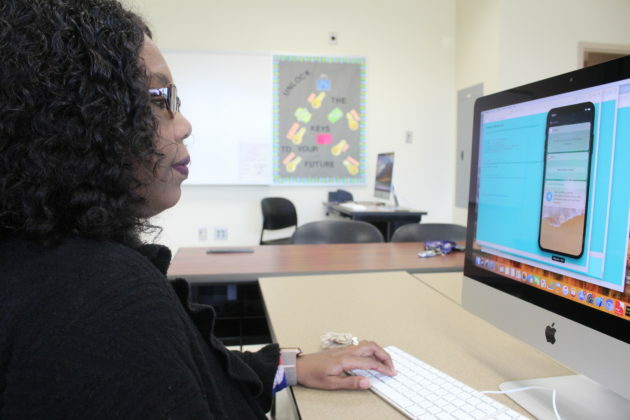 Coding is about solving problems, said Alice Tyler Milton, associate dean for the LSCC business and information technologies division. She and others agree that coding is a valuable skill to have whether entering computing or nursing. “You don’t have to be a computer science major to learn how to code. You can major in anything and still use coding,” said Milton, who pointed out that LSCC is currently developing a program to bring coding to the masses via a mobile coding station, which will be housed in a vehicle the college has already purchased; equipment is currently being purchased for the station, as well. 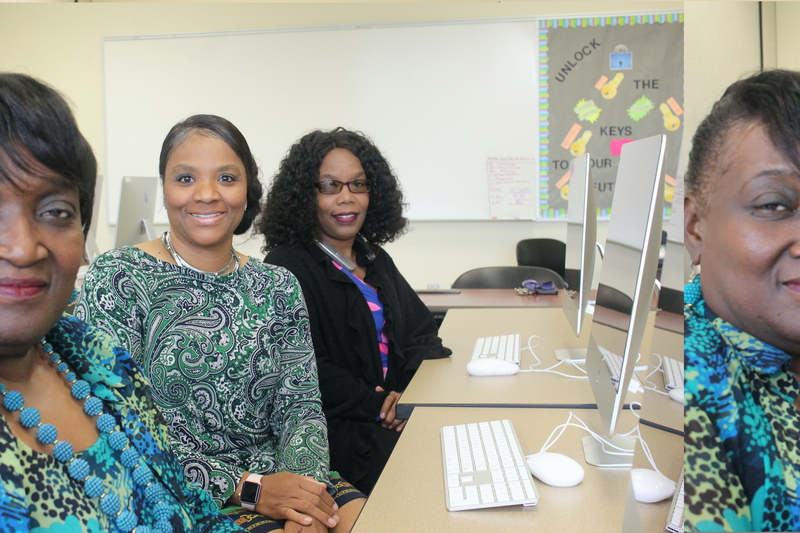 Instructors Eula Todd and Dr. Kesha Mallory James introduced students at the LSCC coding boot camps to Apple’s Swift language, which is used to develop apps. “The world revolves around apps, and everyone needs developers,” said James, LSCC Director of Distance Education. LSCC already had an Apple Swift lab in place, and the school offers three Swift coding classes in its computer science program. 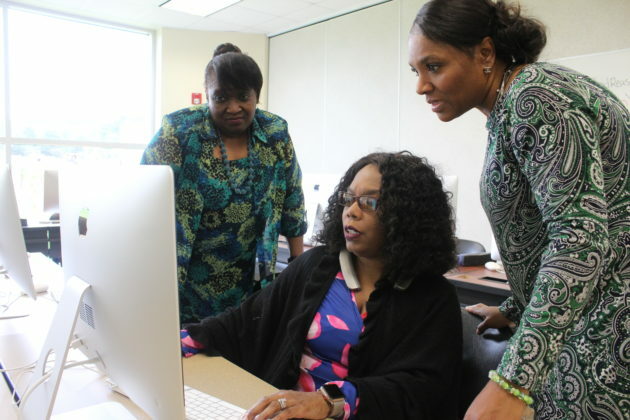 The institution also offers a Swift certification program for college students in computer science and dual enrollment for high school students who want to take college-level computer classes. 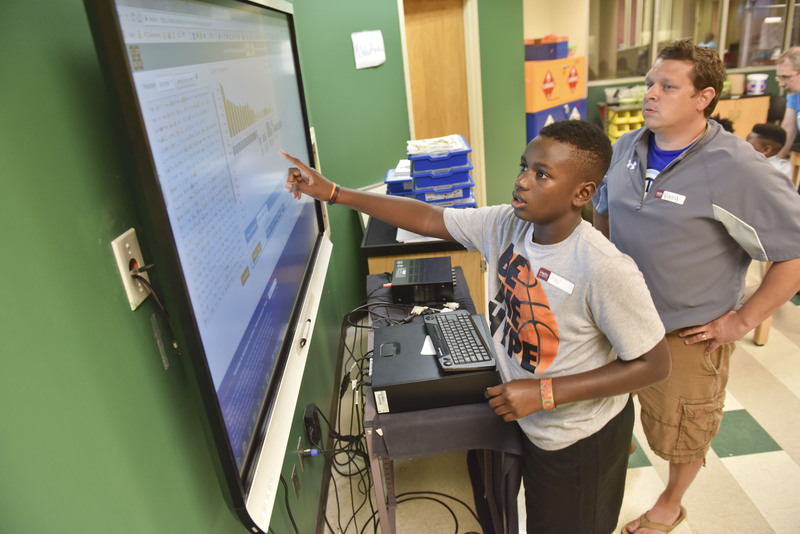 Students have grown up with Apple’s iPad and iPhone and use countless apps, so they are aware that creating and selling an app could help them earn money, said Todd, the instructor for this summer’s middle school coding boot camp at LSCC. High schoolers in the 10th grade or higher who are approved for dual enrollment can take Apple Swift classes at LSCC. Another part of the school’s outreach includes bringing classes to students in Birmingham and across the state through the mobile coding station, said James. Those classes will be certainly welcomed in BCS. Birmingham Can Code formed earlier this year, after city, LSCC, and BCS leaders visited Chicago, Ill., which has partnered with Apple Inc. to offer coding to students through the company’s Everyone Can Code curriculum, an initiative that provides coding instruction and prepares young people for the workforce. “We learned that Apple was looking to partner with cities for workforce development,” said Ed Fields, senior adviser and chief strategist for Birmingham Mayor Randall Woodfin. 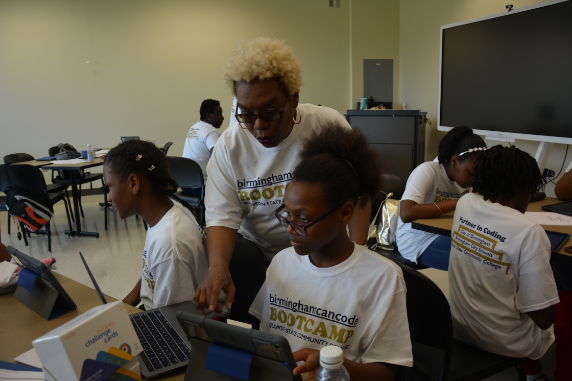 Around $100,000 was raised in corporate donations to teach students under the Birmingham Can Code program. Its first effort was to host four coding boot camps for 100 Birmingham area students at LSCC: high school students worked to develop an app and middle school students used coding to program a robot to complete certain commands. Most, if not all, of the students had not been introduced to coding or any other computer science prior to the boot camps—something Birmingham Can Code hopes to change. 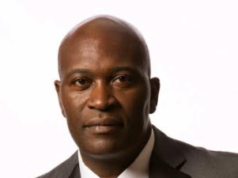 About 8 percent of today’s computing employees nationwide are black, according to a survey conducted by code.org. 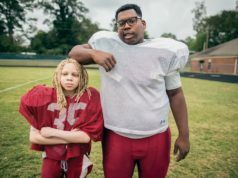 “We want to examine how we can reach more people,” Fields said. “We want to be smart about it. 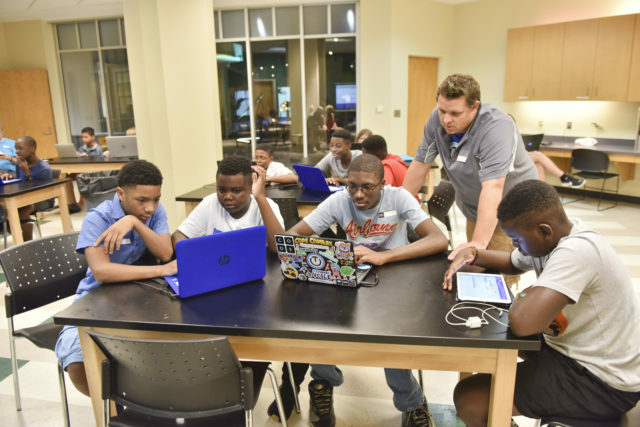 Up next for Birmingham Can Code is taking a deeper look at other ways to reach students and expose them to coding, as well as seeking ways to help students who have coding experience get into the workforce. 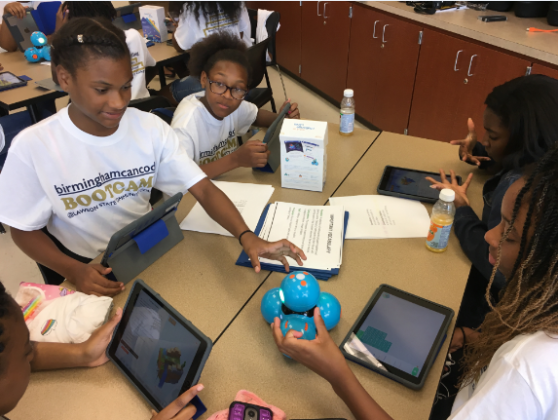 Gordon would like to see importance placed on learning coding and computer science inside the classroom, not just during summer breaks and in after-school settings, so students receive more training and exposure before they reach college. “It really should have the same level of emphasis as English and math,” he said. Some steps are being taken in that direction. 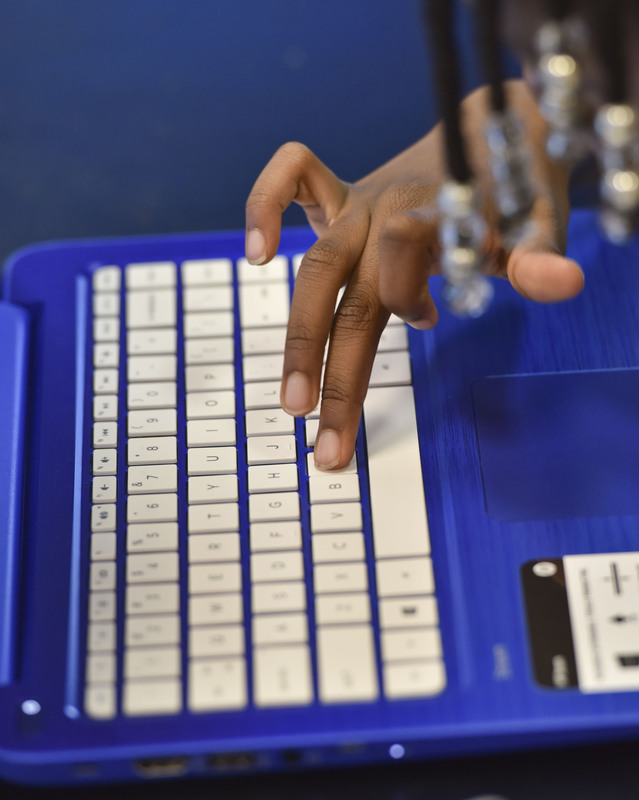 Girls Who Code, a national nonprofit organization, will be expanding into BCS. A club is scheduled to launch in October at Sun Valley Elementary School, said Debra Amamoo, a Sun Valley special education teacher. 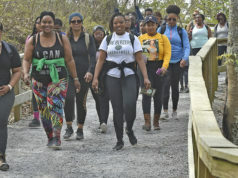 Amamoo, who will serve as the club’s sponsor, said girls in grades three through five will meet weekly through December to learn not only about coding but also about supporting each other—sisterhood is one of the club’s tenets—through a mix of online coding lessons and unplugged lessons. In addition, the entire Sun Valley student body is set to learn computer science this year, Amamoo said. 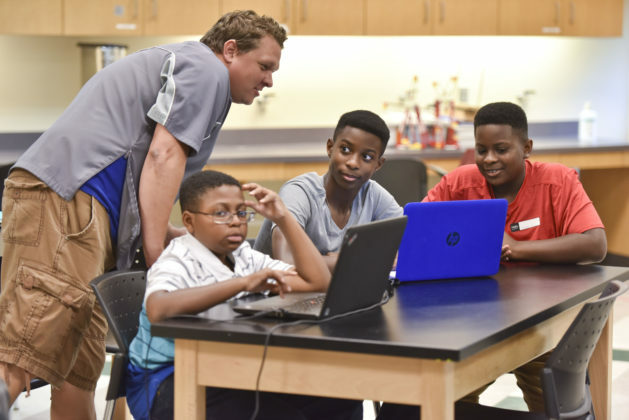 The school already has plans for each class to include hands-on lessons in robotics. Also partnering with BCS is Adrienne Starks, CEO and founder of STREAM Innovations, a local organization “[focused] on providing opportunities for students to gain exposure and experiences while promoting collaborative engagement with high expectations for their success. 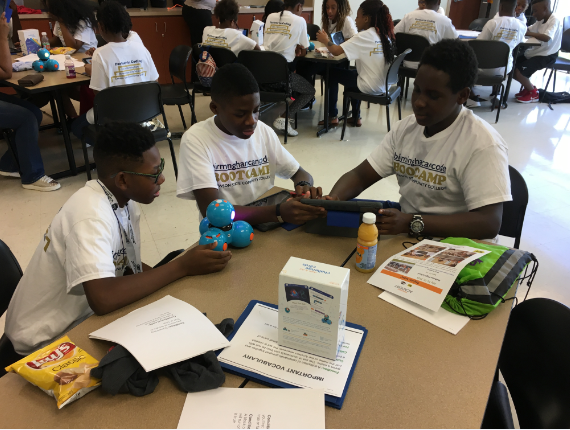 [The group encourages] innovation to engage students in their desired STREAM discipline and innovate solutions to real-world problems in their communities,” according to its website, streaminnovations.org. Starks said some students may already know they want to be software developers or computer engineers. Others may want to pursue other fields and still find coding useful. Click here to read more about tech. Updated at 9:43 p.m. on 9/10/18 to correct last name of Lawson State Community College instructor.